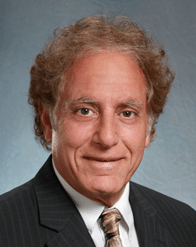 Dr. Alan Rosenstein is a physician consultant and member of the Advisory Team for VITAL WorkLife. Dr. Rosenstein is currently a practicing Internist in and a consultant in healthcare management. Previously he served as Medical Director of Clinical Effectiveness and Care Management at ValleyCare Hospital in Pleasanton, California, Vice President and Medical Director for VHA West Coast, VP of Clinical Informatics for McKesson-HBOC, Director of Medical Resource Management, Manager of Outcome Measurement and Chairman of Case Management at California Pacific Medical Center in San Francisco. Known as the “Disruptive Behavior Specialist,” you can visit Dr. Rosenstein’s website, physiciandisruptivebehavior.com, for more information. Dr. Rosenstein has over 150 publications and extensive national and international lecture and consultation experience in the areas of care management, performance improvement, patient safety, nurse-physician relationships, disruptive behaviors, communication efficiency, physician stress and burnout, and cultural and behavioral factors affecting patient/staff satisfaction and clinical performance. Dr. Rosenstein graduated from the University of Louisville School of Medicine, interned at Highland General Hospital in Oakland, California and did three years of residency in Internal Medicine at Mount Zion Hospital and Medical Center in San Francisco. He earned his MBA in Health Services Management at Golden Gate University, and currently resides in San Francisco.